We've probably all been at a restaurant with a group of people who want to pay individually, but only one bill arrives. You then find yourself in the position of trying to determine how much each person owes. What happens? You look over the bill with a slight wave of panic at having to figure out your total, but instead, you say, "I'm no good at math" and you proceed to pass it to the next person who immediately responds the same way you did. Eventually and usually with some hesitancy, one person takes ownership over the bill and calculates the individual costs or divides the total by the number of people at the table. Did you notice how quickly people say that they were no good at math? Did anyone say, I'm no good at reading? or I can't read? When and why is it acceptable in our society to say we're no good at math? We'd be embarrassed to declare that we're no good at reading yet it's quite acceptable in our society to say that we can't do math! In today's information age, mathematics is needed more than it ever was before - we need math! Problem-solving skills are highly prized by employers today. There is an increasing need for math and the first step needed is a change in our attitudes and beliefs about math. Do your experiences in math cause you anxiety? Have you been left with the impression that math is difficult and only some people are 'good' at math? Are you one of those people who believe that you 'can't do math', that you're missing that 'math gene'? Do you have the dreaded disease called Math Anxiety? Read on, sometimes our school experiences leave us with the wrong impression about math. There are many misconceptions that lead one to believe that only some individuals can do math. It's time to dispel those common myths. Everyone can be successful in math when presented with opportunities to succeed, an open mind and a belief that one can do math. True or False: There is one way to solve a problem. False: There are a variety of ways to solve math problems and a variety of tools to assist with the process. Think of the process you use when you try to determine how many pieces of pizza will 5 people will get with 2 and a half 6 slice pizzas. Some of you will visualize the pizzas, some will add the total number of slices and divide by 5. Does anyone actually write the algorithm? Not likely! There are a variety of ways to arrive at the solution, and everyone uses their own learning style when solving the problem. True or False: You need a 'math gene' or dominance of your left brain to be successful at math. False: Like reading, the majority of people are born with the ability to do math. Children and adults need to maintain a positive attitude and the belief that they can do math. Math must be nurtured with a supportive learning environment that promotes risk-taking and creativity, one that focuses on problem-solving. True or False: Children don't learn the basics anymore because of a reliance on calculators and computers. False: Research at this time indicates that calculators do not have a negative impact on achievement. The calculator is a powerful teaching tool when used appropriately. Most teachers focus on the effective use of a calculator. Students are still required to know what they need to key into the calculator to solve the problem. True or False: You need to memorize a lot of facts, rules, and formulas to be good at math. Answer the questions: How do you know it's right? Is there more than one way to solve this problem? When questions like this are answered, you're on your way to becoming a better math problem solver. True or False: Keep giving more drill and repetition questions until children get it! False False, find another way to teach or explain the concept. All too often, children receive worksheets with drill and repetition, this only leads to overkill and negative math attitudes! When a concept isn't understood, it's time to find another method of teaching it. No new learning has ever occurred as a result of repetition and drill. Negative attitudes toward math are usually the result of overuse of worksheets. Positive attitudes towards math are the first step to success. When does the most powerful learning usually occur? When one makes a mistake! If you take the time to analyze where you go wrong, you can't help but learn. Never feel badly about making mistakes in mathematics. Societal needs have changed, thus math has changed. We are now in an information age with technology paving the way. It is no longer enough to do computations; that's what calculators and computers are for. Math today requires decisions about which keys to punch in and which graph to use, not how to construct them! Math requires creative problem solving techniques. 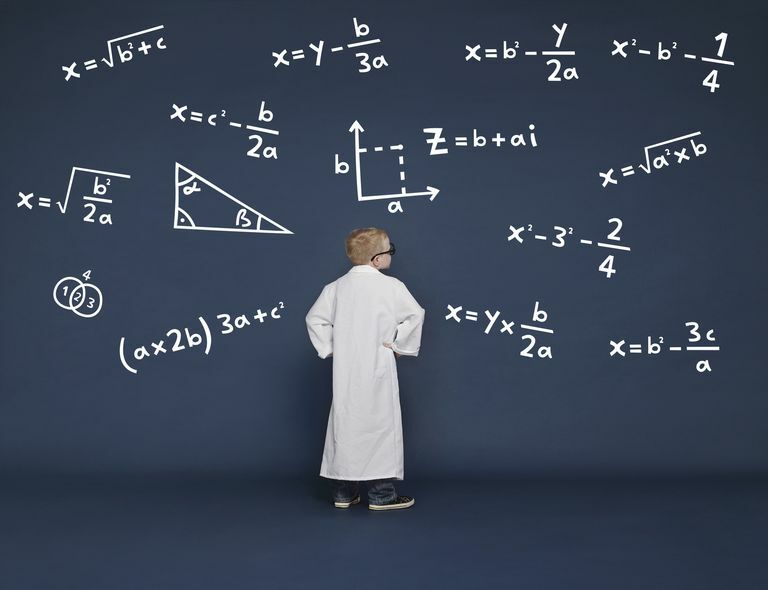 Today's math requires real-life problems to solve, a skill highly prized by employers today. Math requires knowing when and how to use the tools to assist in the problem solving process. This happens as early as pre-kindergarten when children seek counters, an abacus, blocks and a variety of other manipulatives. Family involvement is also critical in nurting a positive and risk-taking attitudes in math. The sooner this begins, the sooner one will become more successful in math. Math has never been more important, technology demands that we work smarter and have stronger problem solving skills. Experts suggest that in the next 5-7 years there will be twice as much math as there is today. There are many reasons to learn math and it's never too late to start! Another terrific strategy is to Learn From Your Mistakes Sometimes the most powerful learning stems from the mistakes you make.